Francesco Piemontesi appears with major ensembles worldwide: Leipzig Gewandhaus Orchestra, Munich Philharmonic, DSO and Berlin Radio Symphony, Bavarian Radio Symphony, Bamberg Symphony Orchestra, Frankfurt Radio Symphony, Vienna Symphony, Czech Philharmonic, Budapest Festival Orchestra, Oslo Philharmonic, Danish National Symphony, Swedish Radio Symphony Orchestra, St Petersburg Philharmonic, London Symphony Orcherstra, London Philharmonic, Philharmonia, BBC Symphony, The Hallé, Tonhalle-Orchestra Zurich, Orchestre de la Suisse Romande, Orchestre Philharmonique de Radio France, Orchestre National de France, Chamber Orchestra of Europe, Israel Philharmonic, NHK Symphony, Seoul Philharmonic, the Cleveland Orchestra, Pittsburgh Symphony, Dallas Symphony and Los Angeles Philharmonic. 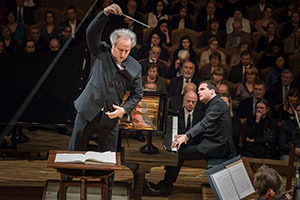 He has performed with conductors such as Vladimir Ashkenazy, Nicholas Collon, Charles Dutoit, Sir Mark Elder, Iven Fischer, Mirga Gražinytė-Tyla, Manfred Honeck, Marek Janowski, Neeme Järvi, Ton Koopman, Andrew Manze, Zubin Mehta, Sir Roger Norrington, Gianandrea Noseda, Sakari Oramo and Yuri Temirkanov. 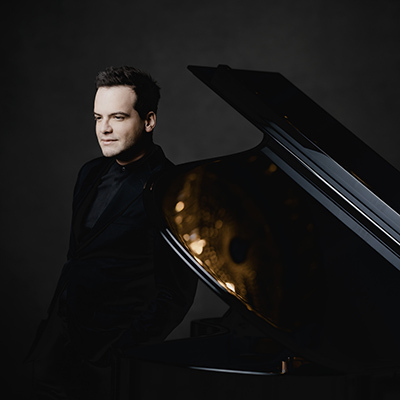 Piemontesi is also a natural and keen chamber musician and plays with a variety of partners – Leif Ove Andsnes, Yuri Bashmet, Renaud and Gautier Capuçon, Emmanuel Pahud, Heinrich Schiff, Christian Tetzlaff, Tabea Zimmermann and the Emerson Quartet.